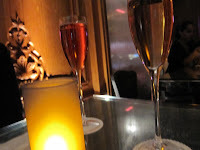 Such is the case at the Ice Kube the bar of the hotel of the same name, without doubt one of the most astonishing bars in Paris. The new decor of this bar in ice is a copy of one of the hotel’s guest rooms with bathroom, bedroom and private bar in ice. 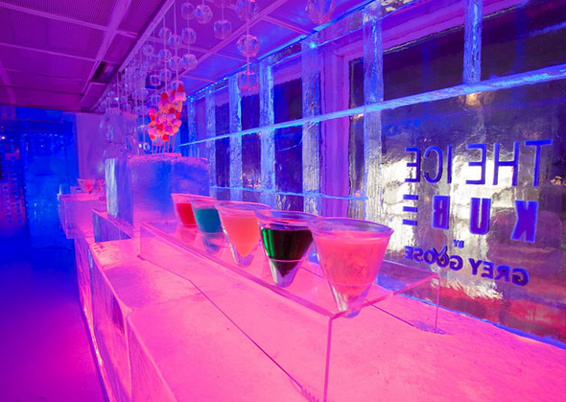 For a 30-minute session, and after having dressed in the necessary warm clothing (chic down jacket designed by Alexis Mabille, fur mittens and chapka), clients enter this unusual place with its temperature of -20°C to enjoy a series of vodka-based cocktails, served in glasses of ice … Like the bar counter, the large armchairs and the rest of the furniture are cut out of blocks of ice. 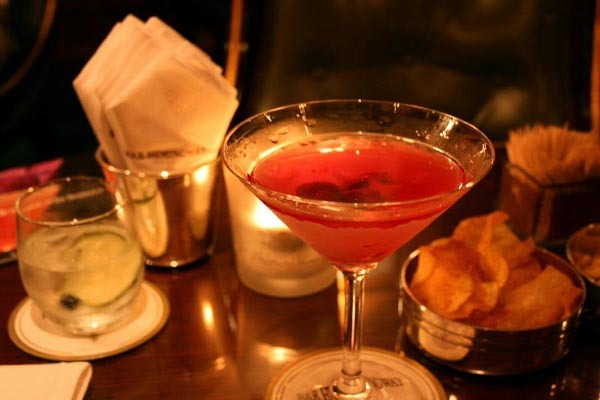 The Hemingway bar at the Ritz is a memorial of sorts, where time seems to have stood still with supreme elegance: it was here that Ernest Hemingway celebrated the Liberation of Paris on 25 August 1944 and nothing seems to have changed since. Comfortable leather armchairs, wood paneling on the walls, black and white photos of the author of A Moveable Feast, an old typewriter and bust of the writer create a unique atmosphere. The head barman, British man Colin Field who has been shaking cocktails here for more than 30 years is the living and inexhaustible memory of the place and serves alcohol and cocktails that were dear to the writer, including the famous Bloody Mary. History has it that one day Ernest Hemingway asked the barman of the time to concoct an odorless cocktail for him, to avoid any caustic remarks from his wife about his breath, when returning to his hotel suite in the early hours of the morning after heavy drinking. An additional and very chic touch to the place, writers from around the world can have a letter sent to them here where it will be carefully kept until they visit the bar! At the Plaza Athénée, the bar decorated by Patrick Jouin, featuring a transparent counter illuminated by touch when a glass is placed on it, and a mirror above the chimney place where flames are displayed on a plasma screen, has very quickly become one of the trendiest places of its kind. The head barman, Thierry Hernandez, is always creating new cocktails, like Fashion Ice – cocktails with an ice lolly in assorted flavors and colors in a glass.